Horsehair worms are slender and sometimes long animals that are notable for their writhing movement. They are also known as Gordian worms after the problematic Gordian knot. They often appear to tie their body into knots as they squirm. 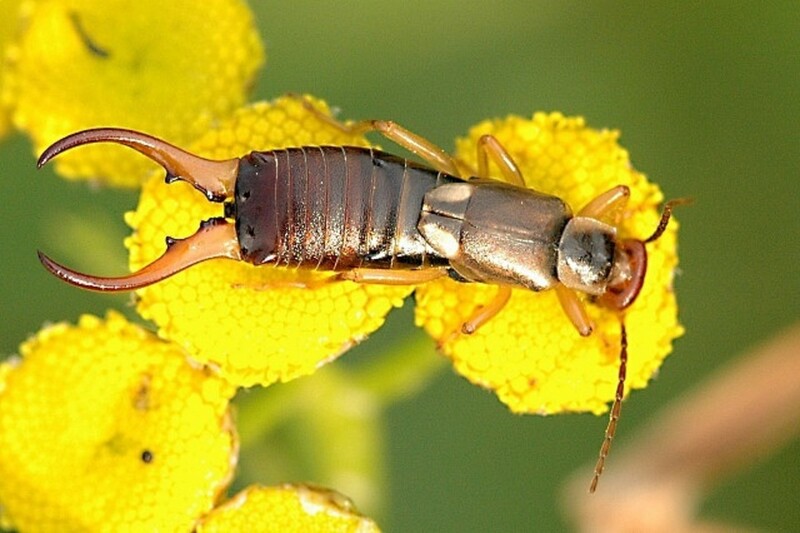 Their larvae are parasites of arthropods, especially insects. When a larva has become an adult and is ready to leave its insect host, it takes control of the animal's behaviour. Several hundred species of horsehair worms are known. Some researchers suspect that more than a thousand species actually exist. They are diverse and interesting animals. There have been a few reports of the worms entering the human body, but the animals have been expelled without causing harm. The alternate name of the horsehair worm has an interesting origin. The tale of the Gordian knot is a legend associated with Alexander the Great. According to this legend, when Alexander and his army reached Gordium, the capitol of Phrygia, they encountered an ox cart tied to a pole with a complex knot. The cart had been left in place by Gordius, a former king of Phrygia. It was said that the person who untied the knot would become the ruler of all Asia. Many people had tried the task and failed. Alexander also tried to untie the knot and was unsuccessful. After deciding that it didn't matter how the knot was undone, it cut it with his sword. Apparently this action deserved a reward because Alexander became the ruler of Asia Minor. Horsehair worms were given the alternate name of Gordian worms because of the tangles and knots that they form on their own or in the company of other worms. 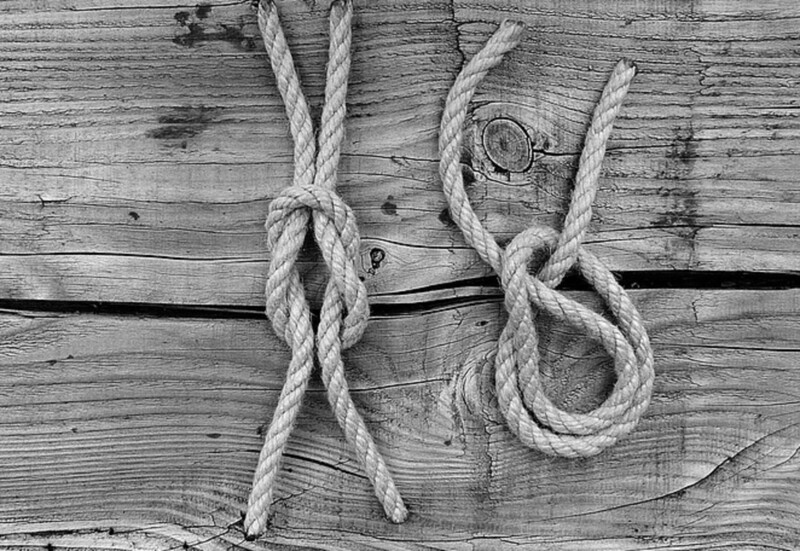 The term "Gordian knot" has entered the English language and means a problem that seems very difficult to solve. Horsehair worms belong to the phylum Nematomorpha. There are four stages in their life cycle: the egg, the pre-parasitic larva, the parasitic larva, and the adult. The adults are found in ponds, swamps, puddles, water troughs, bird baths, human water supplies, and even toilets. They are also found on plants and in soil. Fortunately, they don't hurt people, pets, or plants. 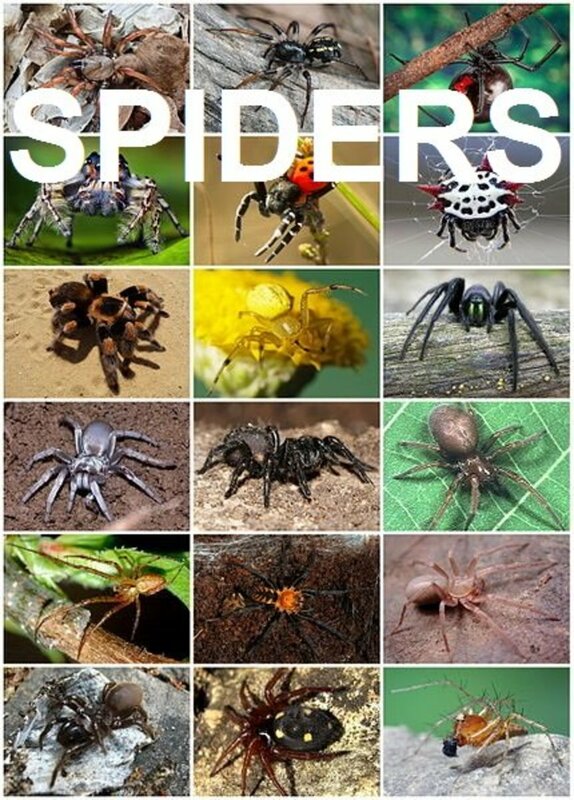 They can be lethal for insects, though. The adult worms are yellow, brown, or black in colour. They generally range from a few inches to two feet in length, but some reach as long as three feet. At least one species reaches an impressive six feet in length. All of the worms are slender, but some are wider than others. The appearance of the worms in water troughs gave them their name. People once believed that the animals originated from hairs that fell into the water as a horse was drinking. In reality, they were probably released from insects that entered the trough. For a casual observer without a means of magnification, the bodies of horsehair worms appear to lack obvious external features besides their size and shape. In some species, a bifurcated (forked) tip at the posterior end is visible. With magnification, more features can be seen. The animals look quite similar to nematodes, or roundworms, which is why their phylum was given the "Nematomorpha" name. Nematodes are sometimes misidentified as horsehair worms, and vice versa. The adult worms don’t eat once they have left their host. In fact, they don’t even have a functional digestive tract. Despite this apparent handicap, they can survive for months. Their primary purpose seems to be to reproduce. Horsehair worms exist as males or females, The adults overwinter in water. In spring, mating occurs. Fertilization is internal. The male releases sperm from his cloaca into the female's body. The female later lays strings of fertilized eggs on the surface of twigs or stones in water. Each string may be one to several feet long and contain millions of eggs. 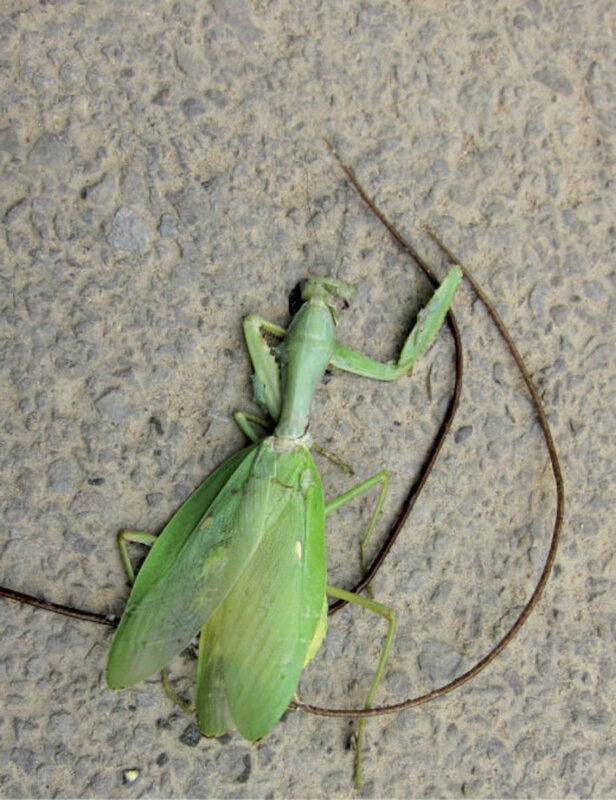 The male dies after mating; the female dies after laying her eggs. The life cycle from egg to adult isn't fully understood. There are believed to be several variations in the steps. Parasitizing an insect or another arthropod such as a millipede or a centipede is always involved. Insects are the most common host, especially crickets, grasshoppers, and cockroaches. The relationship between horsehair worms and insects is the best studied one. Some species of the worms have been found in the ocean, where they parasitize crabs and shrimp. After about a month, an egg hatches into a pre-parasitic larva. This enters an insect in a variety of ways. 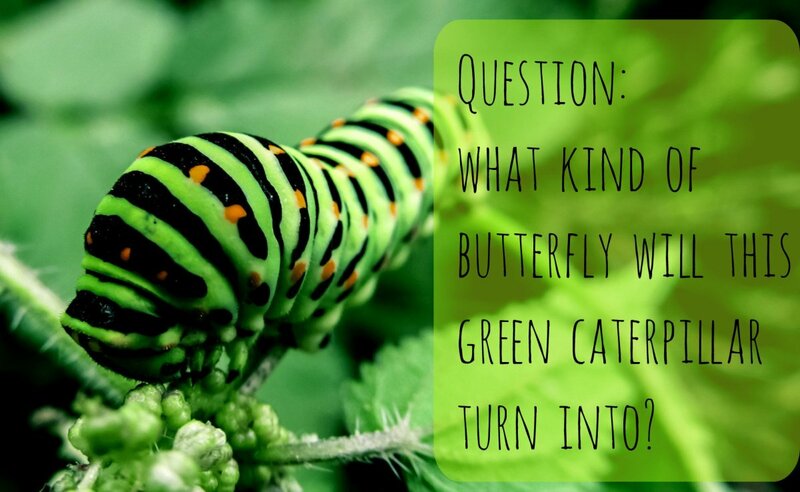 The larva may be accidentally eaten by an adult insect. In this case, it changes into its parasitic form inside the host. Sometimes the larval worm is ingested by a larval host. The worm then encysts and bides its time. It stays encysted as the host becomes an adult. If the adult is eaten by a suitable insect, the larva leaves the cyst and changes into its parasitic form in its new host. In some cases, a larva forms a cyst while it's attached to a plant in an area where water has disappeared. 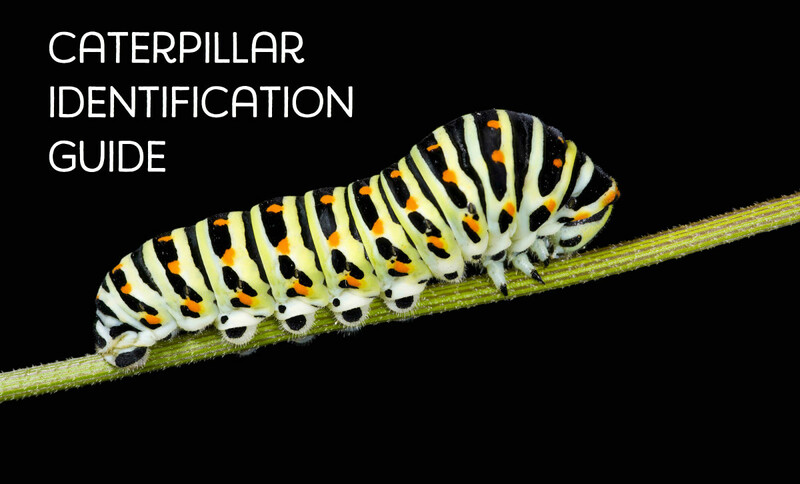 If the larva is eaten by a suitable insect, it changes into its parasitic form inside the animal's body. The parasites don't stay in the intestine of the host. Instead, they burrow through the wall of the intestine and enter the body cavity. The parasite changes into an adult worm within the host's body. The adult is thought to absorb the nutrients that it needs through its body surface. It obtains these nutrients from the body fluids of the host. The worm is often tightly folded to fit inside an insect, but even then it may fill most of the animal's body cavity. Eventually, the worm exerts control over its host's behaviour. It somehow triggers an insect to seek water, perhaps by increasing the animal's sense of thirst. The mechanism of this behavioural control isn't understood, however. Researchers have seen infected insects of some species head straight into nearby water when they are placed by it. Uninfected insects move away from the water when placed near it. Once the infected insect enters the water, the worm emerges through a hole that it creates in the animal's body. This may kill the host, but it sometimes survives. Sometimes multiple worms can be seen leaving an insect's body. The control of the insect is apparently mediated by an increase in the level of one of more neurotransmitters. Neurotransmitters are chemicals in animals and humans that control the passage of a nerve impulse from one neuron to another. The identity of the relevant neurotransmitters in an insect host, the way in which their level is increased by the worm, and their method of action are unknown. Horsehair worms are not the only parasite known to control their host's behaviour. 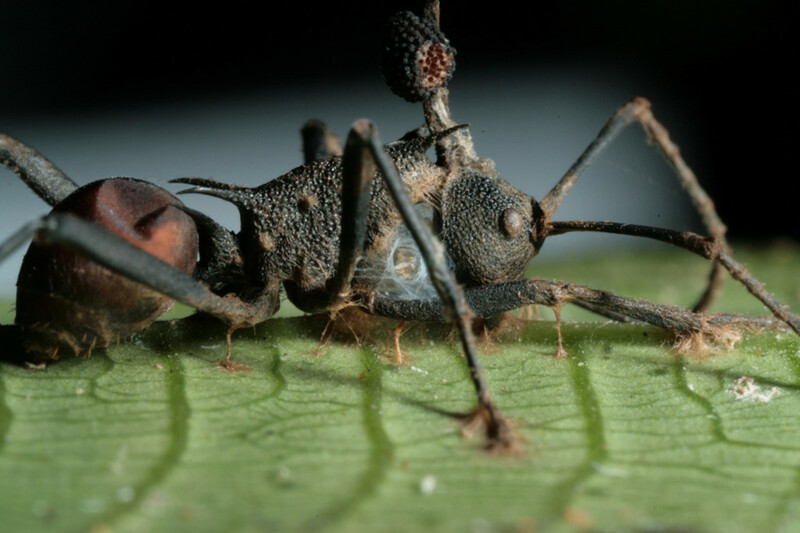 A particular fungus is able to infect and control the action of a so-called "zombie" ant in order to help the release of fungal spores, for example. The emerald cockroach wasp, or jewel wasp, stings a specific part of a cockroach's brain without killing the animal. This causes the cockroach to change its behaviour. The wasp is able to grab hold of an antenna and pull the cockroach into the wasp's burrow. The wasp then deposits an egg on top of the cockroach. The larval wasp gradually consumes the living animal. Horsehair worms occasionally enter the human body when water or food contaminated by the worms is swallowed. In humans, the animals stay in the digestive tract and don't migrate further into the body. They are released from the tract in the feces or by vomiting. Since the worms aren't harmful, no pest control method is needed. Some people suggest that the animals may even be helpful because their life cycle destroys nuisance insects. Other think this contribution is too small to be useful, however. The worms may be undesirable in some places. Agricultural extension departments or public health authorities can often offer advice about how to deal with the animals. There is still a lot that is unknown about horsehair worms. Perhaps because they don't have a major effect on our lives, they are not as well studied as might be expected. I think they are intriguing animals that deserve more attention. This is not only because they are interesting. An understanding of other animals—even much simpler ones than us—can sometimes help scientists understand an aspect of human biology better. What is the cure if horsehair worms are living in and on me? You need to see a doctor. He or she will prescribe a treatment and enable you to get rid of the worms. They are highly unlikely to be horsehair worms, however. I have read one university report stating that horsehair worms have occasionally entered the human body. It’s possible that in some of these cases the worms were misidentified, however. In any case, the animals were vomited up and released in the feces. They didn’t survive in the people or cause an infection. I appreciate all of your comments, Devika. Thank you for the visits. You write with great interest and inform us on every new information or unique facts. i enjoyed learning from you on another well-researched hub. I can always count on you to renew my fascination in this endlessly complex world. Thank you very much for the visit and the comment, Gerry. Hi, Chitrangada. I appreciate your kind comment very much. There are so many different types of worms and insects. This was a very well written and informative article. Keep up the good work, my friend. Unique, Informative and interesting, like your other articles. I have not heard about these horsehair worms earlier, so it is educational for me. Thanks for familiarising me with your well researched information, pictures and videos. Thanks for the visit and the comment, Bede. I think the mysteries of nature are fascinating. 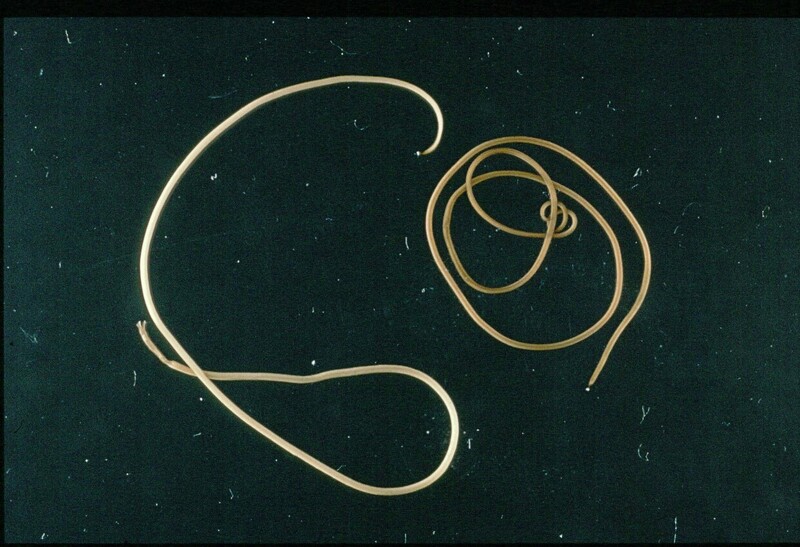 There are many mysteries found in nature and the existence of parasites and tapeworms are some of them. There must be some benefit for the ecosystem, such as controlling the bug population, as your article suggests. I’ve heard the phrase “Gordian knot,” and it’s interesting to know the source. Hi, Manatita. 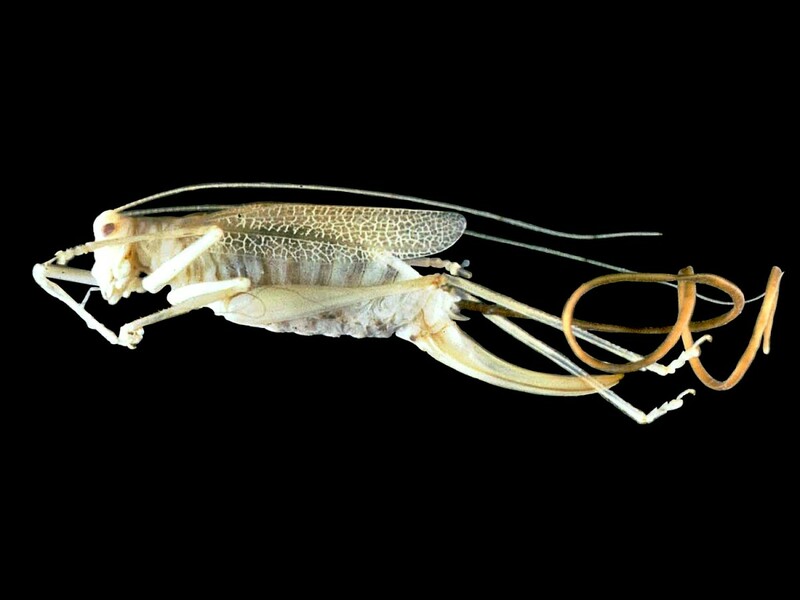 Horsehair worms and crickets are interesting animals, but they aren't closely related. Alexander's action was certainly practical! Your videos are very interesting. They -horsehair worms - do look and act like crickets a lot! Are they a similar family? Seems like Alexander was a very practical man! Hi, Heidi. Thank you for the comment. I find the huge variety of life on Earth very interesting. Who knew all these creatures existed? Luckily, we have you to introduce us to them. This planet is quite a zoo. Thanks for sharing, as always! I appreciate your comment, Peggy. I feel sorry for the insects affected by horsehair worms, too. Thanks for suggesting that I write about the animals. This information was interesting to read although I hope never to meet one of these horsehair worms in my garden or elsewhere. I felt sorry for that praying mantis in the video. Thanks for the visit and the comment, emmeriza. I am always been fascinated by this tiny creatures. This is so interesting. Thank you for the comment and for watching the videos, Jackie. I certainly understand what you mean about the animals being gross, but I think they are interesting as well! 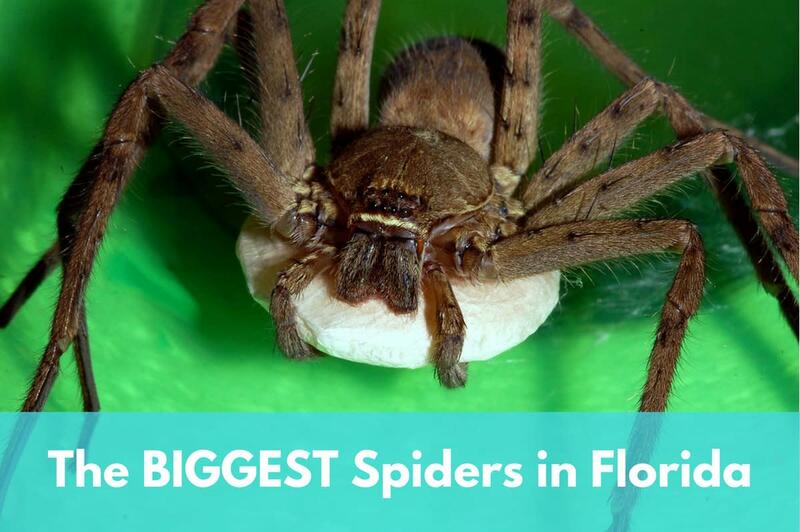 Very gross but I watched the videos and hope to never see one of these things in person. If I ever do though I will know all about them and remember who taught me! Thanks, Bill. They are interesting animals. I suspect I have seen one but didn't realize it...fascinating read as always, Linda! Hi, Mary. Anything is possible. If infecting humans is beneficial for the worms, they might one day do this. That action—if it ever happens—is probably a long way in the future, though. Thanks for the comment, Flourish. I hope you enjoyed your breakfast despite thinking about horsehair worms! Oh my...poor insects. I don't mind if they plague the horseflies as they really bother me. Saying that, it is interesting that they only affect insects. Can they evolve to affect humans, too? I’ve read this before breakfast, and this has given me the willies. Even though they aren’t harmful to us, it makes me want to go disinfect every surface I can. They should call these zombie worms for what they do to insects. Fascinating and scary.